People of Saudi Arabia celebrate National Day on September 23. This holiday marks the day of unification of the regions of Saudi Arabia in 1932. Teachers of Brunei annually accept congratulations on Teachers' Day on September 23. This holiday was established in Brunei to commemorate the birth of the ruler Sultan Omar Ali Saifuddien III. 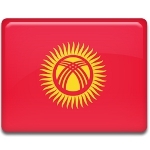 Kyrgyz Language Day is annually celebrated in Kyrgyzstan on September 23. This holiday was established to celebrate the adoption of a law on language of the Kyrgyz SSR in 1989. September 23 is National Day of Women's Political Rights in Argentina. 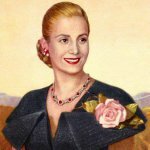 Celebration of this day is connected with Eva Perón's activity, First Lady of Argentina from 1946 till her death in 1952. National Day of School Failure Prevention is a French national observance, that annually falls on September 23. This observance was created under initiative of the French organization AFEV in 2008. Holocaust Memorial Day is a very important observance in Lithuania. Establishment of this memorial day is connected with liquidation of the Vilna Ghetto in 1943. 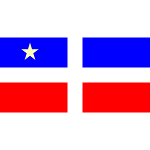 People of Puerto Rico annually observe Grito de Lares (Cry of Lares) to commemorate the events of the first large uprising against Spanish rule in Puerto Rico. The uprising began on September 23, 1868, thus laying foundation to this observance. 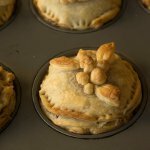 The National Great American Pot Pie Day is celebrated every year on September 23. This informal food related holiday was created in 2002 by Marie Callender's, the pot pie and frozen food company. 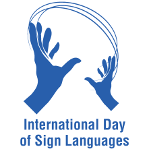 International Day of Sign Languages (IDSL) is a United Nations observance held annually on September 23, during International Week of the Death. It was established by a UN General Assembly resolution in 2017 and was celebrated for the first time in 2018. 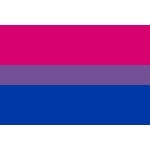 Celebrate Bisexuality Day, also known as Bisexual Pride and Bi Visibility Day, is observed on September 23 every year by members of the bisexual community and their friends, families, supporters and allies. 2012 Died: Corrie Sanders, South African professional boxer, the WBO heavyweight champion by defeating Wladimir Klitschko in 2003. He died in a hospital at the age of 23 after being shot during an armed robbery. 2008 A 22-year-old student Matti Juhani Saari shot and fatally injured 10 people before killing himself at Seinäjoki University of Applied Sciences in Western Finland. All Saar's victims were his mates. 2004 At least 3,006 people were killed in Haiti by floods, caused by hurricane Jeanne. The hurricane also caused the death of people in Puerto Rico, the Dominican Republic and in the USA. 1983 A bomb exploded in the baggage compartment of Gulf Air Flight 771 on approach to Abu Dhabi International Airport. The plane crashed in the desert between Abu Dhabi and Dubai in the UAE, all 107 passengers and 5 crew members died. 1973 Died: Pablo Neruda, Chilean poet, diplomat and politician. In 1971 he won the Nobel Prize in Literature. 1970 Died: Bourvil, French actor and singer, born as André Robert Raimbourg. He is best remembered for his roles in comedy films, especially in collaboration with Louis de Funès in the films The Sucker and Don't Look Now... We're Being Shot At!. 1949 Born: Bruce Springsteen, American singer, songwriter, guitarist, best known for his work with his E Street Band. His most successful studio albums Born in the U.S.A and Born to Run show a talent for finding grandeur in the struggles of daily American life. 1943 Born: Julio Iglesias, Spanish singer, songwriter, one of the best-selling artists of all time. He recorded in 14 languages, released more than 80 albums and more than 2,600 gold and platinum records certified. 1943 The Italian Social Republic was founded during World War II. The republic became the second and the last incarnation of the Fascist Italian state and it was led by Benito Mussolini. 1939 Died: Sigmund Freud, Austrian neurologist, known as the father of psychoanalysis. One of his most important achievements is establishment of a three-component model of the psyche. 1930 Born: Ray Charles, American singer, songwriter, composer. He pioneered the genre of soul music during the 1950s by combining rhythm and blues, gospel and blues styles. His works earned him a title The Genius. 1929 Died: Richard Adolf Zsigmondy, Austrian-Hungarian chemist, remembered for his research on colloids. This work brought him the Nobel Prize in Chemistry in 1925. A crater on the Moon was named in his honor. 1920 Born: Mickey Rooney, American actor, whose career started as a child actor. He appeared in more than 300 films. The peak of his career was at the age between 15 and 25. He never rose to prominence again, struggled with alcohol and pill addiction and married eight times. 1916 Born: Aldo Moro, Italian politician, the 38th Prime Minister of Italy, known as one of the Italy's longest-serving post-war Prime Ministers, holding power for more than 6 years. He was kidnapped by the Red Brigades and killed after 55 days of captivity. 1915 Born: Clifford Shull, American physicist, remembered for his contributions to physics. In 1994 he was awarded the Nobel Prize in Physics for the development of neutron scattering technique. 1909 The Phantom of the Opera, a novel by French writer Gaston Leroux, was first published as a serialization in Le Gaulois, a French daily newspaper. 1905 Norway and Sweden singed the Karlstad Treaty, that allowed peaceful dissolution of the Union between the two countries. 1901 Born: Jaroslav Seifert, Czech poet and journalist, a leading representative of the Czechoslovakian artistic avant-garde. In 1984 he was awarded the Nobel Prize in Literature. 1896 Died: Ivar Aasen, Norwegian philologist, lexicographer, playwright and poet, best known for having created one of Norway's official languages, Nynorsk. 1889 Died: Wilkie Collins, English novelist, playwright, best known for works The Woman in White, The Moonstone, Armadale and No Name. 1889 Japanese entrepreneur Fusajiro Yamauchi founded Nintento Koppai (later Nintento Company) to produce and market the playing card game Hanafuda. 1880 Born: John Boyd Orr, 1st Baron Boyd-Orr, Scottish biologist, physician and politician. In 1949 he was awarded Nobel Peace Prize for his scientific research into nutrition and his work as the first Director-General of the United Nations Food and Agriculture Organization. The entire financial award was donated to organizations devoted to world peace and a united world government. 1877 Died: Urbain Le Verrier, French mathematician, specializing in celestial mechanics. He is best known for mathematical prediction of existing of Neptune before its discovery. 1870 Died: Prosper Mérimée, French dramatist, historian, archaeologist, writer, best known for his novella Carmen, that became the basis of Bizet's opera Carmen. 1869 Born: Mary Mallon, better known as Typhoid Mary, the first person in the United States identified as asymptomatic carrier of the pathogen associated with typhoid fever. 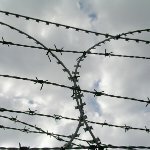 She was presumed to have infected 51 people and was twice forcibly isolated by public health authorities. She spent nearly 30 years in isolation. 1861 Born: Robert Bosch, German industrialist, engineer and inventor, the founder of Robert Bosch GmbH, or simply Bosch. 1846 Neptune, the eighth and farthest planet from the Sun in the Solar System, was discovered by astronomers Urbain Jean Joseph Le Verrier, John Couch Adams and Johann Gottfried Galle. 1830 Died: Elizabeth Monroe, American wife of James Monroe, the 5th First Lady of the United States. Due to her bad health conditions, many duties of official hostess were assumed by her eldest daughter Eliza Manroe Hay. 1459 The first major battle of the English Wars of the Roses, the Battle of Blore Heath, is fought in Staffordshire. 1338 The Battle of Arnemuiden was fought between England and France. The battle is known to be the first naval battle of the Hundred Years' War and the first recorded European naval battle using artillery.